After Thomas Brown’s death in 1848, Mary remarried to Thomas Vance. Here is a little more about each of the children of this couple. 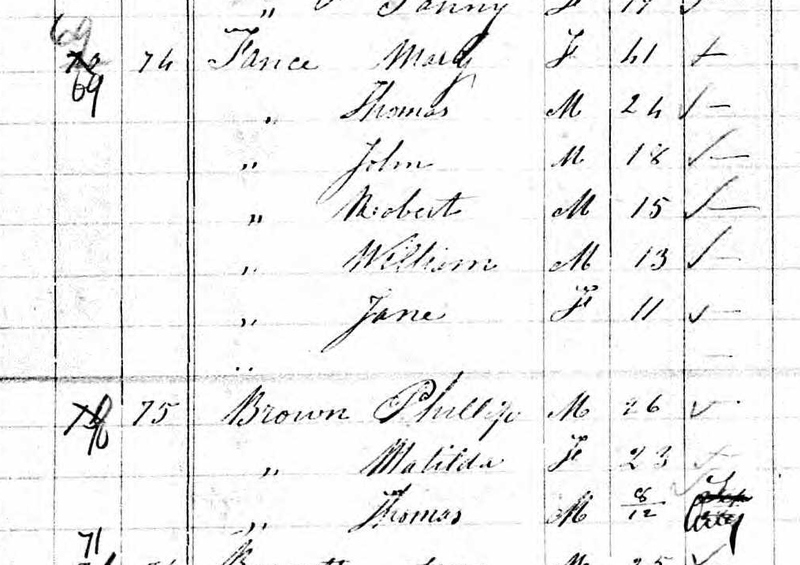 Mary and Thomas Vance appear in the 1861 and Mary in 1871 census with the children. See the post, on this blog, dated April 4, 2015 titled: Thomas Brown and Mary Johnston of Hastings Co., Ontario, Their Descendants for more information. In the 1871 Canadian Census there is a Thomas Vance listed with Mary and the other children who is 24 years old and a Merchant. There is also a Philip Vance 26 years old married to Matilda who is 23 years old below them on the page. I am not sure who these two individuals are but maybe from a previous marriage of Thomas Vance, Sr.? Mary and Thomas Vance married in 1851 and he was 31 years old. It is interesting these children do not appear in the 1861 census. So this is a bit of a tangle of information that will need to be further studied. I will proceed with the idea that Thomas Vance and Mary Johnston Brown Vance had the following children together. 1. John Vance born 14 November, 1853. He married on 22 December, 1874 in Rawdon to Catherine Montgomery. She was born about 14 March 1856 in Rawdon. John and Catherine’s marriage is recorded in the Ontario marriages and also in the records of the Anglican Diocese of Ontario at Kingston. You can see there is a little problem with his parents? It should read Thomas Vance not Thomas Brown? Source: John Vance & Catherine Montgomery, 22 Dec. 1874, Rawdon, Hastings Co., Ontario, Ontario Marriages, pg. 43 #003633. They are still living in Rawdon Twp. in the 1891 with the following children: James age 12, Clarence age 4 and Jennie (hard to read) a daughter age one. John and Catherine Vance migrated to Manitoba by 1901. James is still with them and he was born 5 October 1878 in Ontario. Clarence was born 18 May 1887 in Rawdon. Jennie was born 26 February 1890 per the census. By 1906 James has gone off on his own, but Clarence and Jennie remain at home, the family of Robert and Catherine Vance are living in Brandon, Manitoba. By the 1921 census John is alone and widowed living with his son James Vance who is also widowed. They are living in Elton Twp., Manitoba. John Vance and Catherine Montgomery Vance are buried in the Chater Cemetery in Chater, Brandon, Manitoba along with one of their daughters Jennie who died 29 February 1920.  There are tombstone photos at the Canadian Genweb Cemetery Project online. Here is a link for exploring Manitoba. Brandon and Chater are just west of Winnipeg in the southern area of the province. 2. Robert Vance born about 1855 and he married on 23 March 1881 in Huntington Twp., Hastings Co. to Mary Blakely born about 1860 in Huntington Twp., Hastings Co., Ontario. Robert Vance, bp Roden, age 25, born 1856, Father Thomas Vance, mother Mary Vance, Spouse Mary Blakly, age 21, born about 1860 in Huntington, father Henry Blakly, mother Christina Blakly. Witnesses John G. Waad and William Vance. bridegroom C of E, bride Presbyterian, married by David Wirhart. Source: Hastings Co. Vital Records, #004357, pg. 745, No. 2. They had the following children: William Vance, Philip Vance, Jessie Vance, Annie Vance, Christina Vance, Charles Vance and Mary Vance. He is also in the 1881 census and Mary his mother is with him. Line 6, 194, 196, Vance, Robert, M, 25, C. of England, Irish, farmer, M. Vance, Mary, F, 18, English, C of England, Irish, M. Vance, Mary, F, 65, [ ] C of England, Irish, W; Vance, Wm, M, 19, English, C of England, Irish. In 1891 the family was living in: Robert Vance age 35, Mary Vance age 23, Philip Vance age 8, Jessie Vance age 6, Christiana Vance age 3 and Mary J. Vance 4/12. They are living in Rawdon, Hastings North. They are on line 1 of the census. All are Church of England. Mary’s states her father was born in Ontario and her mother was born in Scotland. Robert lists his parents as Irish. In the 1911 Canadian census Robert and Mary Vance are living in Rawdon Twp., Hastings Co., Ontario with their children: Christina born August 1893, Mary J. born March of 1890 and Annie born November 1891 and Charles born May 1894. By 1921 Robert and Mary Vance have moved to Stirling and are by themselves. He is 62 and she is listed as 59, both are Ch of England. They are living on Edward Street. Robert died February 9, 1926 and Mary Vance died June 17, 1862. They are buried in the Stirling Cemetery in Hastings County, Ontario along with their daughter Mary J. Vance who died August 22, 1913. See Find A Grave for their memorial and tombstone. 3. William Vance born about 1857 and died 16 July 1930 in Chatham, Kent Co., Ontario. William Vance married a Mary Ann Johnston on 23, November 1881 in Huntingdon, Hastings Co., Ontario. This Mary’s relationship to William’s mother is unknown at this time. William Vance, 22 yrs, Huntingdon, born Rawdon, Bachelor, Farmer, Parents Thomas and Mary Vance, Spouse Mary Ann Johnston, age 20, born and residing Huntingdon, father William and Jane Johnston, witnesses John Heagle, Emma Brown of Rawdon. Marriage in Huntingdon Nov. 23, 1881. Groom Ch of Eng., Bride Methodist, by Robert Walker, L.
Source: Ontario Canada Marriages 1801-1928, William Vance & Mary Ann Johnston, Nov. 28, 1881, Huntingdon Twp., Hastings Co., Ontario, Schedule B Marriages, page 601, #004177. William and Mary Vance migrated to Bothwell Twp., Chatham, Kent Co., Ontario by the 1891 Canadian Census. He is living there with his wife and their daughter Ida who is about a month old. They are also there in Bothwell Twp. in 1901 with Ida born 17 March, 1891, Maggie born 19 January, 1892, and another daughter Bessie born 14 February, 1896. In 1911 William Vance is with his daughters Maggie B. and Bessie [T.] in Bothwell Twp., Kent Co., Ontario. Ida married William H. McDonald a carpenter, Baptist residing in Wallaceburg. His father was Donald J. McDonald a farmer and mother was Mary E. [Sheen]. Ida Pearl Vance a domestic and spinster was Methodist and living in Tupperville. Her father was William Vance a farmer and mother was Mary Johnson. The marriage took place 28th September, 1910 in Wallaceburg, Kent Co., Ontario. The witnesses were a Frank Crow and Alberta Robert’s. A Wm. L. Robert’s was the minister. In 1921 William Vance is living with his daughter Ida and her family in Chatham Twp., Kent Co., Ontario. W.H. MacDonald is head , farmer age 32, Ida his wife, R.H.V. his son 9 years old, and Margaret J. daughter 8 years old. They are listed as Baptists. Ida is Irish, W. H. is Scottish but born in Ontario. Mary died about 1921 and William Vance died on the 16th of July, 1930. I do not have their burial location at this time. 4. Margaret J. Vance was born about November 1859 and died 26 Dec. 1930 in Ivanhoe, Hastings Co., Ontario. She is buried in the White Lake Cemetery in Ivanhoe. She married John George Wood, son of John Wood and Mary, on 14 September 1881 in Hasting Co., Ontario. John George Wood, 25 years, Huntingdon, Ontario, Bachelor, farmer, parents John & Mary Wood, Spouse Maggie Jane Vance, 21 years born Rawdon, Single, parent Thomas & Mary Vance, Witnesses Wm. Vance and Marg A. Johnston of Huntingdon, Marriage Rawdon Sept 14, 1881, Groom Bible Christian, Bride Bible Christian, Rev. Geo. Dunkley. Source: John G. Wood to Maggie J. Vance, 14 September, 1881, Rawdon Twp., Hastings Co., Ontario, Schedule B, page 687, #004228. They had about 6 children: Percy, Nellie, Ethel, Arthur, Tillie who died in 1922 and Florence who married an Ernest Bateman of Tweed, Ontario. After an illness of three months duration, John George Wood passed away at his late residence at Ivanhoe, on Saturday, March 9th. The late Mr. Wood, who was in his 84th year, was born at Ivanhoe and had resided there all his life. He was a son of the late Mr. and Mrs. John Wood. For years, he was engaged in farming and in the community he was held in high regard. In religion he was a member of Beulah United Church and when age and health permitted, he took an active part in the work of the congregation, and held the office of a trustee. He was a man of fine character and to those near to him his death has brought sincere regret. Surviving him are two sons, Mr. P. M. Wood, London, Ont. ; three daughters, Mrs. A. Ashley, West Huntingdon; Mrs. F.J. Blackburn, Orillia, Ont. and Mrs. W. E. Bateman of Tweed; one sister, Mrs. Annie Wood of Stirling. His wife, who prior to her marriages was Miss Margaret Vance, passed away nine years ago and a daughter, Tillie Wood died in the year 1922. The funeral took place Monday afternoon from the family residence at Ivanhoe to the United Church at White Lake, where an impressive service was conducted by the Rev. S.A.R. Delve, pastor of the Ivanhoe Circuit. Many friends were present at the service. Interment was made in White Lake Cemetery. The bearers were Messrs. Douglas Blackburn, Jack Blackburn, George Wood, Wilber Bateman, Don Bateman and Geo. Ashley, all of whom are grandsons of the late Mr. Wood. Source: John G. Wood, Obituary Notice, March 28, 1940 died March 8, 1940, Tweed Newspaper for March 8, 1940. Tweed Historical Society, Tweed, Ontario. The Wood family appears in the 1891 Canadian Census for Huntingdon Twp., Hastings Co., Ontario living with his father. Reid Berth Jane, F, 18, Dom, Methodist, dom. servt. Source: John G. Wood Family, 1891 Canadian Census, Huntingdon Twp., Hastings Co., Ontario, page 2, Dist#74, SD No. 3, W. B. Tanner. April 7, 1891. John and Margaret Wood appear in the 1901 Canadian Census for Huntingdon Twp., Hastings Co., Ontario. Source: John Wood Family, 1901 Canadian Census, Huntingdon, Hastings Co., Ontario, page 3, Dist # 71, SD F, Polling #3, April 15, 1901, Erastus Geary. In the 1921 Canadian Census for Huntingdon Twp., Hastings Co., Ontario John Wood is with his wife Maggie Vance Wood, his daughters Nellie and Lillie. John Wood and Margaret J. Vance Wood are buried in the White Lake Cemetery in Ivanhoe, Hastings County, Ontario. Margaret is buried under her maiden name of Vance. I have given summaries of some of the census rather than a detailed account. If you would be interest in copies of these documents just leave a comment at the bottom of this post. Conclusion: This is my stopping point in the research of the family of my 2nd great great uncle Thomas Brown and his wife Mary Johnston. Thomas is the brother of George Brown who is of my family line. In this post I have done a little on the history of Mary’s second family of Vance. Once again, I emphasize that there is more research to be done regarding the children and making sure the information is correct. What I have presented in the past posts is a little mix of my own research on the Thomas Brown family and others like my cousins who have gone before. They have been very generous with their research. This entry was posted in Brandon, Chater Cemetery Brandon Manitoba, Chatham Kent Co., Hastings Co., John Vance & Catherine Montgomery, Manitoba, Margaret J. Vance & John George Wood, Mary Johnson 1820 to circa 1886, Ontario, Rawdon Twp., Robert Vance and Mary Blakely, Stirling, Stirling Cemetery, Thomas Vance 1820 to before 1871, Thomas Vance 1821 to 1861, Vance surname, White Lake Cemetery Ivanhoe, William Vance & Mary Ann Johnston and tagged A Vance Family of Hastings County, Huntingdon Twp., Migration from Hastings County on May 23, 2015 by BJ MacDonald.